Edward has a commercial and chancery practice, with particular experience in the fields of pensions, trusts, commercial disputes, professional negligence, international work, financial services and civil fraud. His practice encompasses litigation and advisory work across the broad range of commercial chancery cases. 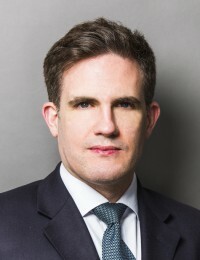 Edward is regularly involved in large-scale litigation involving pension schemes, regulatory work, trust disputes, business disputes and professional liability, often with an international or offshore element. He has considerable experience of document-heavy long-running cases and working as part of multi-jurisdictional legal teams. Edward was a scholar of Lincoln College, Oxford, where he obtained one of the best first class degrees in his year in Modern History. He achieved the highest mark in his year on both the CPE law conversion course and the Bar Vocational Course. He is a Queen Mother Scholar of the Middle Temple and was awarded the Eldon Law Scholarship by Oxford University.